Sound design in this training area is key, as you must listen for the Marksman-H to know when it’s going to fire lasers at you. 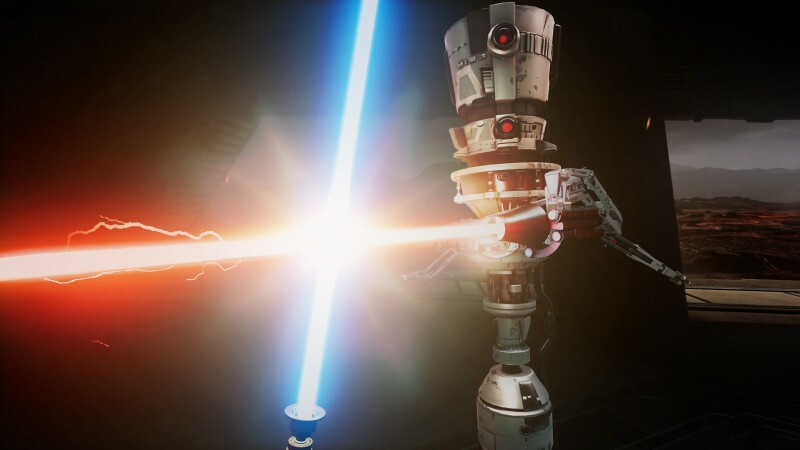 If you time your lightsaber swings correctly, you can knock the lasers back into the droid, knocking it out of the fray. The other droids will approach you quickly, and you are tasked to block their saber attacks to open up a window where you can hack away at their metal bodies. This section of the demo delivered three waves of combat. While the demo warped me between two rooms where I was tethered to a small circle, in the final game you will be able to move around freely using the analog sticks or teleporting. You’ll also get to interact with various objects you find in the environment – probably of the Sith variety. 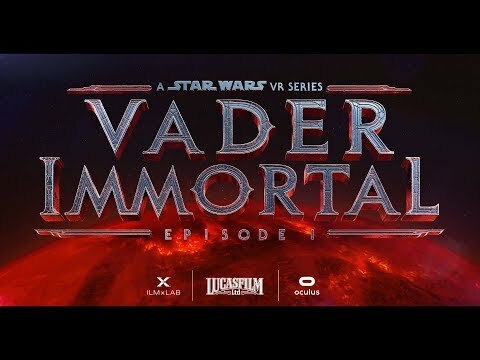 The first episode of Vader Immortal is set to release this spring for Oculus Quest and Rift.